​The Nihoku Ecosystem Restoration Project was created in 2012 in order to protect both rare coastal ecosystems as well as provide a predator-free nesting area for native ground-nesting birds in Hawaii. 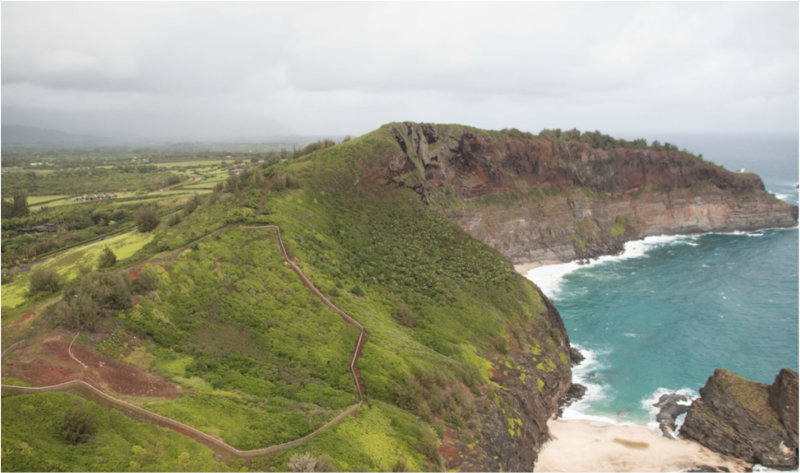 Nihoku is an area between Crater Hill and Mokolea Point at Kilauea Point National Wildlife Refuge on the North Shore of Kaua`i. The project is a result of a large partnership between multiple government and non-profit groups who have come together to help preserve the native species of Hawaii. The focus is on creating safe nesting habitat for Newell’s Shearwaters (‘A‘o) and Hawaiian Petrels (‘Ua‘u ), Hawai`i’s only two endemic seabirds, and enhancing the existing breeding colonies of Mōlī (Laysan Albatross) and Nēnē (Hawaiian Goose) who already nest in the area.